One of the goals in the University of Hawai‘i at Hilo’s new Strategic Plan is to foster a sustainable environment on campus, one that gives students, faculty and staff the best possible place in which to study, work and live. One of the key components of this sustainability goal is responsible stewardship for Hawai‘i’s precious natural resources by providing leadership in recycling, sustainable resource use, food production, “green” building design, and use of renewable energy sources on campus. We already are making great strides in these objectives with the installation of photo voltaic on several of our buildings and promotion of “local first” days in our campus eateries. Our newly re-formed Sustainability Committee is currently discussing new initiatives on energy and recycling. During winter break, our campus community participated in our Green Days initiative, in which many facilities and offices on campus were closed, saving $68.5 thousand in energy costs. A statewide initiative that dovetails in part with UH Hilo’s sustainability goals is the work of the Hawai‘i EPSCoR Statewide Governance Committee, of which I am co-chair. EPSCoR is a multi-million dollar federally-funded statewide initiative called the Experimental Program to Stimulate Competitive Research. Taking the lead from Governor Abercrombie’s “A New Day in Hawai‘i” roadmap, in which the governor emphasizes the urgent need to infuse technology and innovation into the economy, the EPSCoR committee is providing leadership for development of the Hawai‘i Statewide Science and Technology Strategic Plan. The committee recently drew up a proposed guide, “Sustaining and Improving Quality of Life for a Prosperous Hawai‘i: A Statewide Framework for Science and Technology,” including a section on energy and food sustainability. 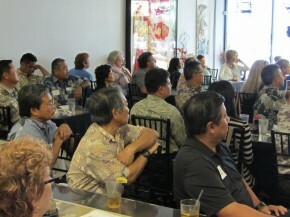 The plan, still in draft form, is meant for state and local governments, businesses, and the education sector and “provides a pathway for sparking conversations and actions that will bring to bear the latest knowledge and technology to grow, diversify and strengthen a resilient state economy, and improve the overall quality of life for Hawai‘i residents.” The plan advocates four key objectives: 1) strengthen the sci-tech talent pool; 2) foster synergies between Hawaii’s sci-tech businesses and institutions; 3) advance sci-tech for a healthy state; and 4) invest in sci-tech for a resilient, sustainable island state. Objective 4 addresses the current model in which the state imports 90% of its energy (through oil) and 85% of its food need; the EPSCoR committee expresses concern that Hawai‘i is therefore exposed to increased risks relating to energy and food supplies. “Investment in scientific and technological research to help Hawai‘i produce more of its own energy and food for domestic use and exportation will help to ensure that the state is protected,” the draft plan states. More community vision summits are planned for the near future. I look forward to working with the chamber and its members to advance sustainable initiatives and practices for the benefit of our island and state. 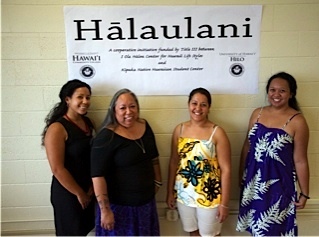 Staff stand under the sign at the Hālaulani Project Office, located at Hawai‘i Community College’s Manono campus. 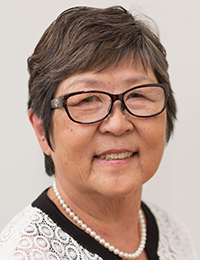 The office was jointly developed by UH Hilo andHawCC to administer a cooperative grant program aimed at increasing transfers from the community college to the university. Left to right: Michele Padayao, program specialist, Hālaulani-HawCC; Noe Noe Wong-Wilson, program coordinator, Hālaulani-HawCC; Loke Brandt, peer mentor, UH Hilo anthropology major; Kainoa Ariola, grant partner and interim director at UH Hilo Kīpuka Native Hawaiian Student Center. I recently read a report by Complete College America stating that by 2020, 68% of jobs in Hawai‘i will require a career certificate or college degree, but currently only 41% of adults have a college degree. The gap: 27%. For a strong economy, the report states, the skills gap must be closed. We simply will not have enough skilled workers to meet the needs of our economy unless many more college and university students graduate. One way the University of Hawai‘i at Hilo is addressing this challenge is by collaborating with Hawai`i Community College (HawCC). Most importantly, we are working together to examine ways to facilitate seamless transfers between the campuses—for example, by giving students roadmaps to use when they begin their college education at HawCC, they will have a plan on how to achieve baccalaureate degrees at UH Hilo. One collaborative initiative is the Degree Pathways Partnership program, where HawCC students who opt for the program can be accepted to select UH Hilo programs while still attending the community college. The program increases student access toward attaining a higher degree and gives students optimum access to support in achieving their higher education goals, for example advising from both HawCC and UH Hilo faculty to keep students on track. Two UH Hilo degrees currently offered in the HawCC-UH Hilo pathways program are Administration of Justice and Business Administration. Currently in discussion for the pathway program are HawCC’s Digital Media Arts degree, which would lead into UH Hilo’s BA in Art, and HawCC’s Tropical Forest Ecosystem and Agroforestry Management program leading into UH Hilo agricultural degrees. In addition to working collaboratively on increasing student transfers and higher degree attainment, UH Hilo and HawCC are also working on professional development programs to increase faculty and staff knowledge and awareness of Hawaiian perspectives. This type of professional development will strengthen our ability to fully support Native Hawaiian students as they complete their higher education with a degree that makes them competitive in the job market. 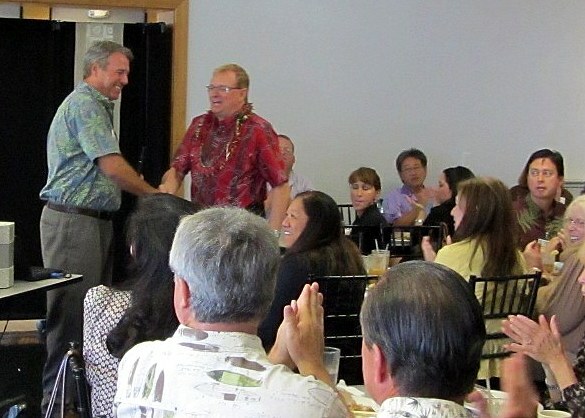 As this column goes to press, UH Hilo and HawCC are launching the jointly sponsored ‘Aha‘aha Leadership Summit to be held in Oct-Nov and designed to boost faculty and staff skills as leaders in higher education within a cultural context. To address the future needs of our economy, both campuses view our partnership as an important component in being able to successfully provide higher education to the people of the island.